Jordan Allen has been on our radar for over a year now. Starting off a singer-songwriter he's now playing with a band. He's just released a new video for a track called Set In Stone that's really rather good. Jordan hails from Bolton and has been on the Manchester scene slowly building a following with rare live appearances, but some prestigious support slots with the likes of The 1975 and Danny Mahon and has just secured a slot for the final of Blossoms' soon to become an "I Was There" moment residency at the Blue Cat Café. He's been compared to Jake Bugg (as any man who's picked up an acoustic guitar in the last two years has) and Arctic Monkeys, but his lyrics demonstrate a smart sense of humour and a wit and dexterity that set him apart. He's already gained support from 6 Music's Tom Robinson who said "Sharp lyrics, great attitude and a seemingly unstoppable momentum behind them. What's not to like?" 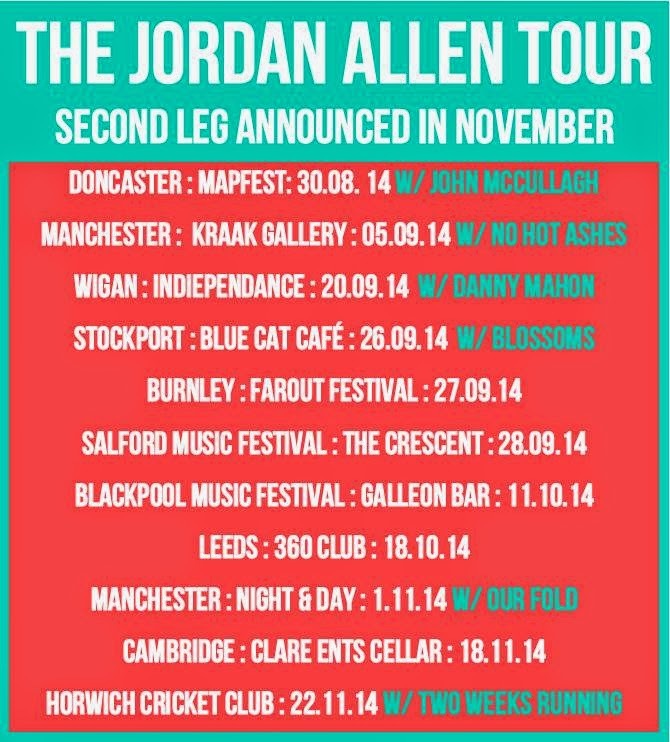 He's avoided the temptation to play too many gigs and has made the move from solo artist to forming The Jordan Allen Band to accompany him at live shows at the right time so as not to have been written off as a singer-songwriter content to ply his wares around the small venues of the Northern Quarter. Set In Stone is the final track off his debut EP I Wanna Be Remembered, which was released digitally back in March, but the video heralds the start of his assault on the conscience of the gig-going public. 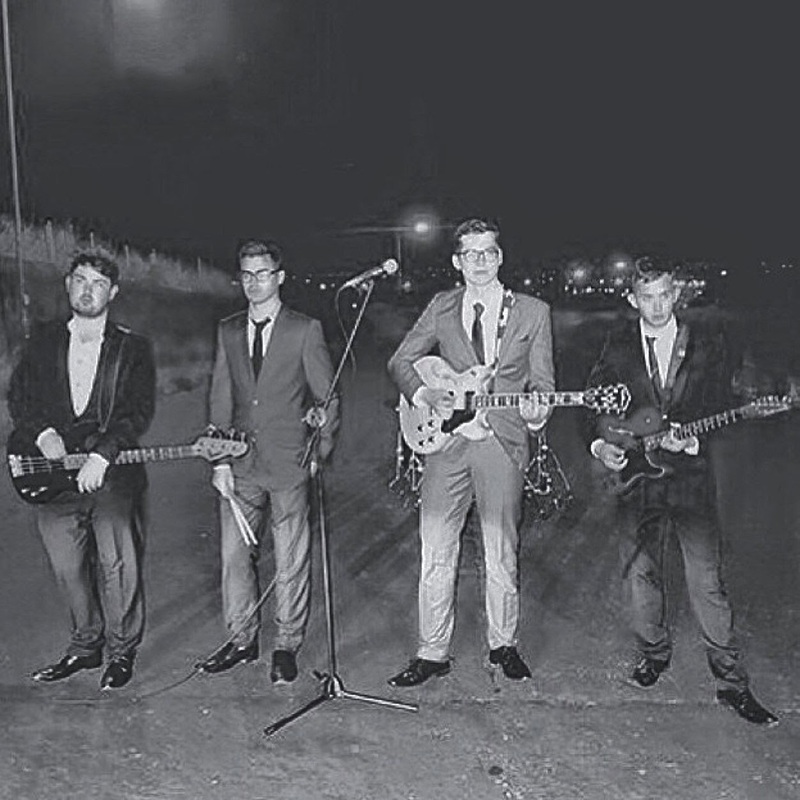 The video, which features the band, was filmed in Westhoughton, near Bolton, by Simon Thorley. The release of his video comes a year to the day that he released his debut single Rich And Famous. Highlights of their September schedule include the No Hot Ashes / Velocets bill at the Kraak Gallery this Friday (5th September) and he also plays Wigan Indiependence with Danny Mahon on the 20th and The Blue Cat Café in Heaton Chapel with Blossoms on the 26th, but these form part of a wider gig schedule over the coming months. I Wanna Be Remembered EP is available now on iTunes from here and debut single Rich And Famous is also still available. Jordan is on Facebook and Twitter.